Despite work and other daily responsibilities, rarely does my alarm go off as early as 5AM. As I struggled to get out of bed in the dark, I knew my day would be worth the five hours of sleep and four plus hour roundtrip drive, as long as the weather held out. 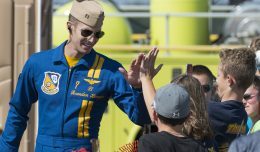 It was hot and humid with a chance of thunderstorms in the afternoon; a typical August day and what has come to be the consistent forecast for the Atlantic City Airshow. 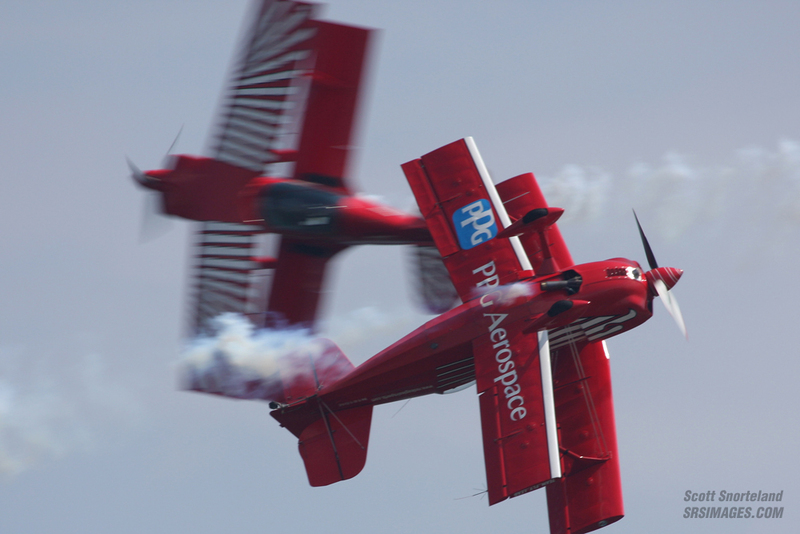 Chatter begins well ahead of time, as aviation and airshow enthusiasts begin to discuss the show as early as the first week of December when the jet team schedules are announced. 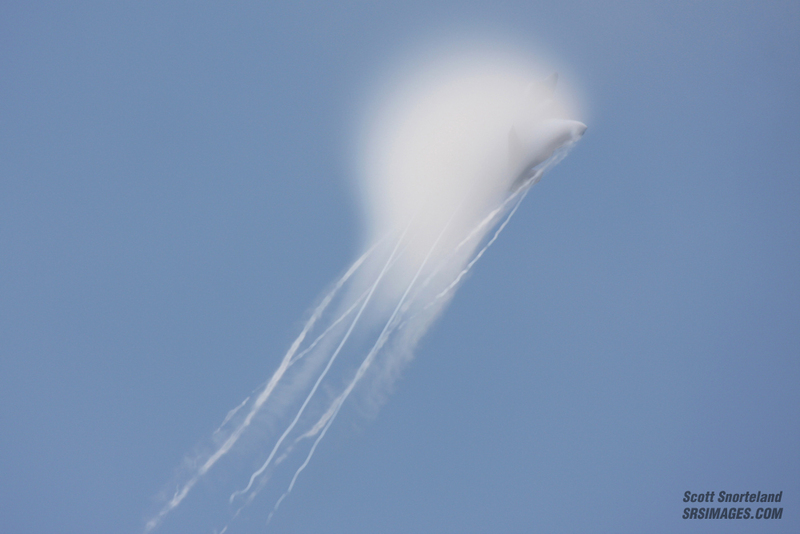 As months pass and August approaches, internet airshow and aviation message boards are followed daily by many in anticipation of who will perform and what will fly. Based on past years I have come to realize that making the trip from New York to the Jersey Shore is the safest bet you can make in Atlantic City. 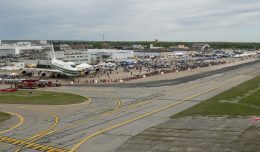 With one of the largest military lineups in the Northeast, it has brought me back year after year despite varying weather conditions. 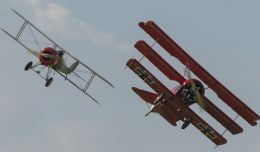 With each year’s show raising the bar even higher for the next, Thunder Over The Boardwalk 2009 continued to meet this expectation while bringing it up yet another notch. Close to ten years ago, The Atlantic City Chamber of Commerce began to look at some ways to increase weekday attraction that catered to all. Though a popular weekend and night spot, the town strived to draw the same numbers of weekend visitors out to the beach during the week. 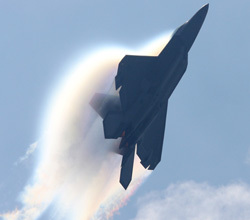 Though somewhat last minute, in 2003 with the help of the Borgata, 177th Fighter Wing and David Schultz Airshows “Thunder Over The Boardwalk” was formed to celebrate 100 years of powered flight. 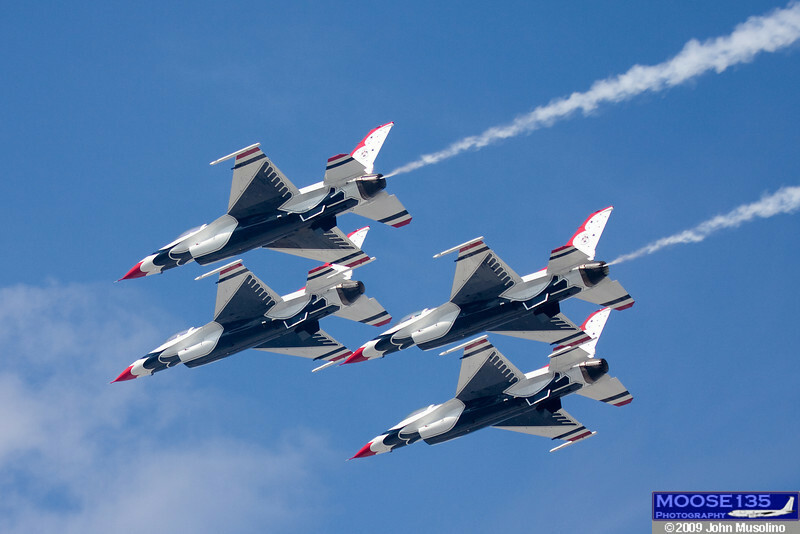 Headlined by the United States Air Force Thunderbirds and the Army’s Golden Knights, the show was an instant success and quickly became an annual August Wednesday event. 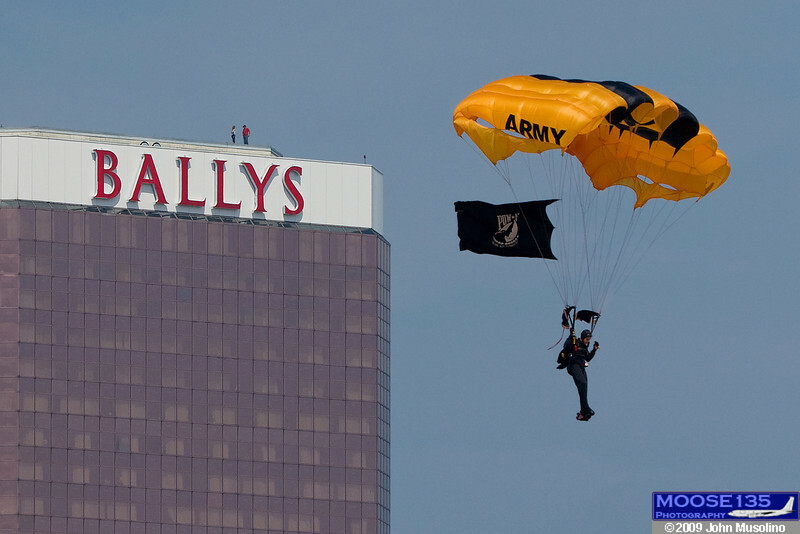 This rare one day only platform allows for more participation from various performers and demo teams, as well as an assortment of military flybys during weekday training. 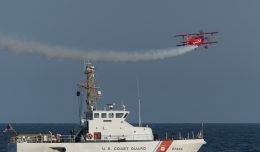 Similar to Jones Beach, Atlantic City has a rather small flying window when compared to other shows mainly due to heavy commercial airline traffic in the area. 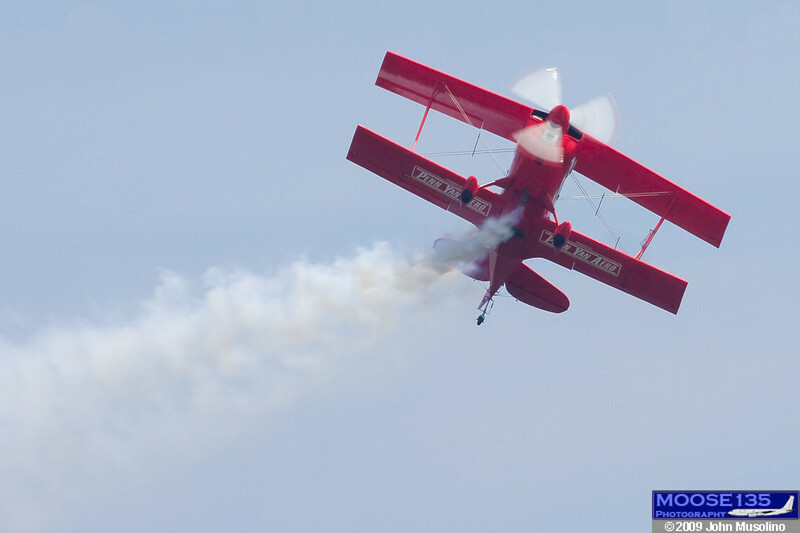 With a TFR in effect from 11:00AM to 3:30PM, Airbosses David Schultz and Greg Witmer worked diligently along with their team to maximize this window of opportunity for spectators. 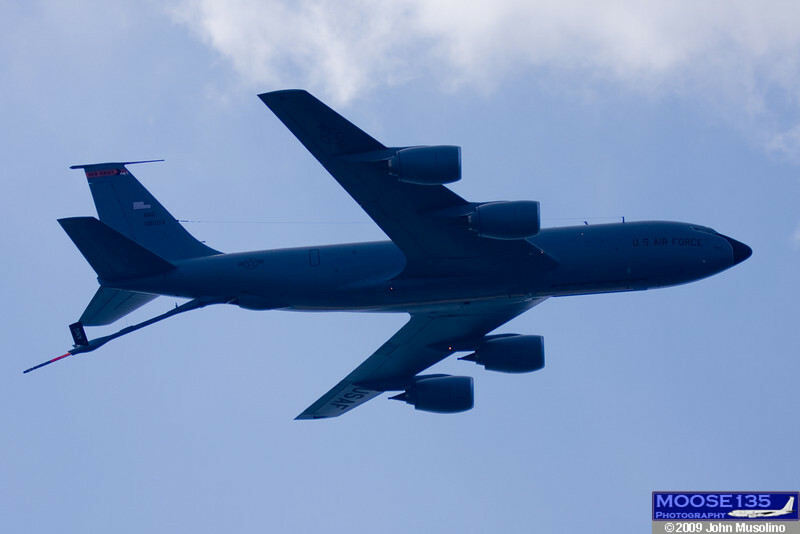 With a total of over 50 participating aircraft staging from nine different locations, it’s by far no easy task to manage. Incorporate that with no more than a two to three minute gap between performances and you have a fast paced premium show at every level. 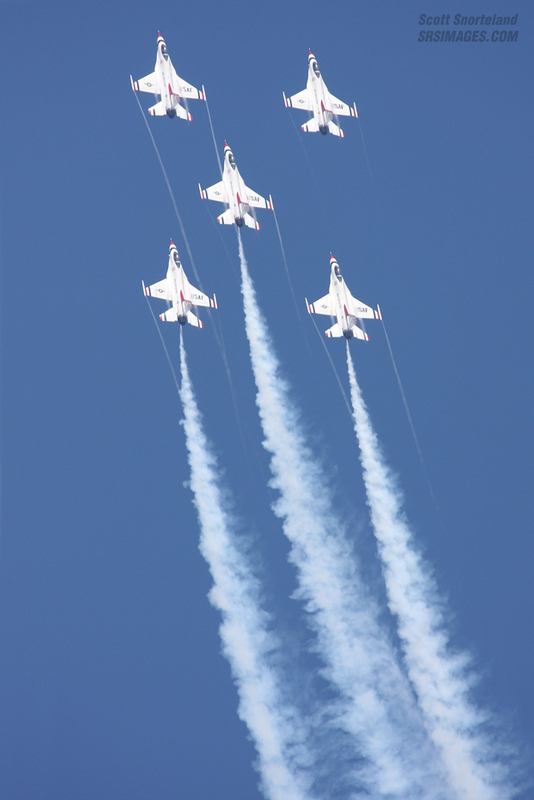 For the seventh year in a row since its start, the United States Air Force Thunderbirds headlined the show. 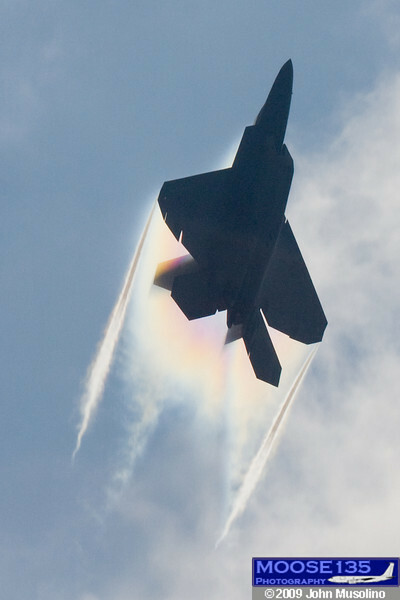 A very close competitor to the Thunderbirds also came from the Air Force with a four ship flyover of F-22 Raptors who made the trip from Langley AFB in Virginia. 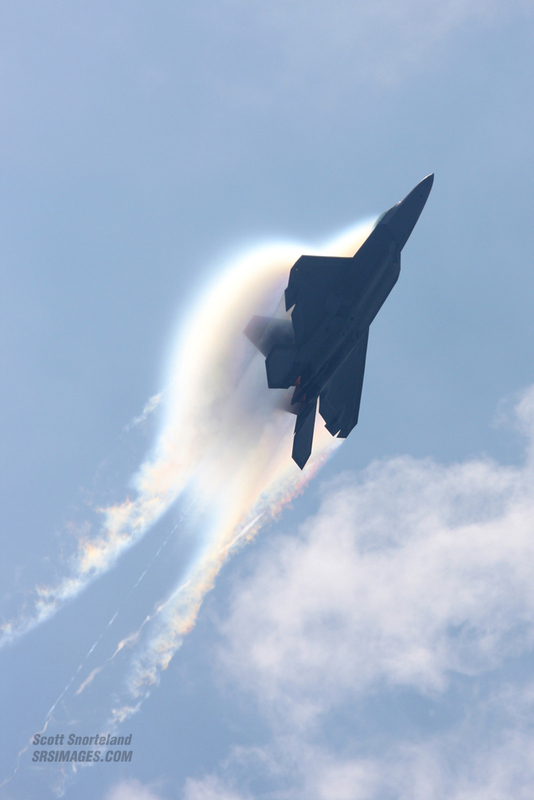 The Raptors displayed, or should I say flexed, their power as they broke from the echelon formation on their first pass in full afterburner. They received a steady five minute applause from spectators after each plane came around for its second and final pass, pulling vertical and popping cones of vapor all the way up to 15,000 feet. 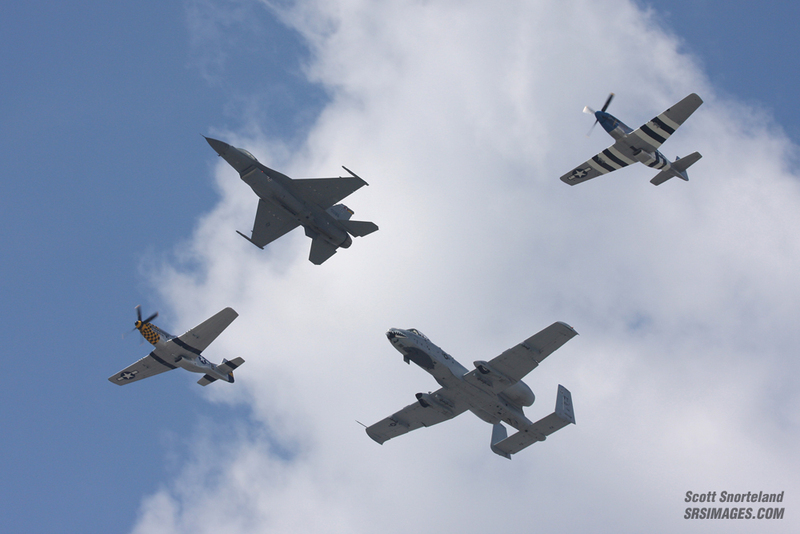 The Air Force also brought the A-10 and F-16 east coast demo teams to further display their wide array of combat aircraft. 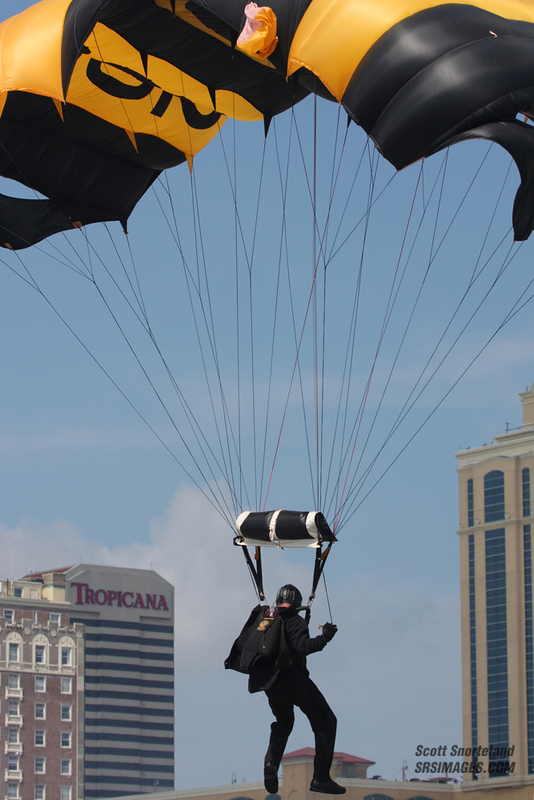 In addition to today’s premier military fighters, the Horsemen opened their performance with a low pass from behind the boardwalk and quickly got the crowd involved. 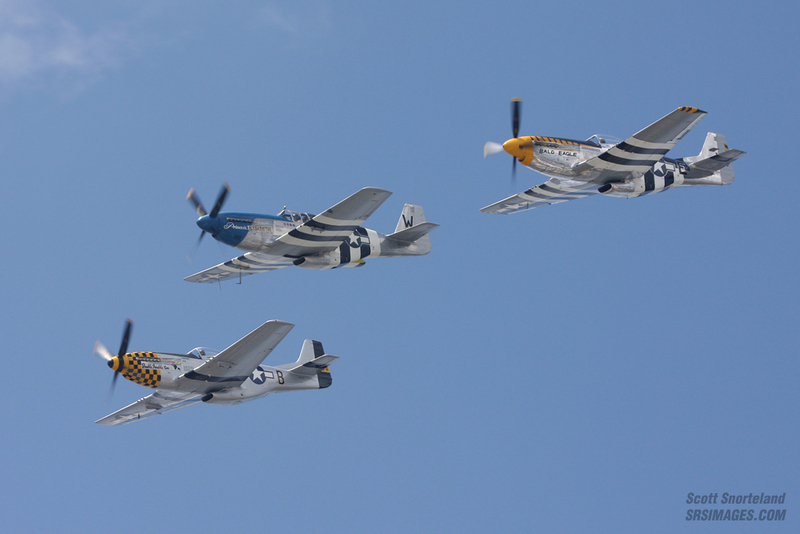 The team flew their three P-51’s in tight formation over the Atlantic, taking the crowd back to the 1940’s while showcasing the Mustang’s aerobatic capabilities some seventy years later. 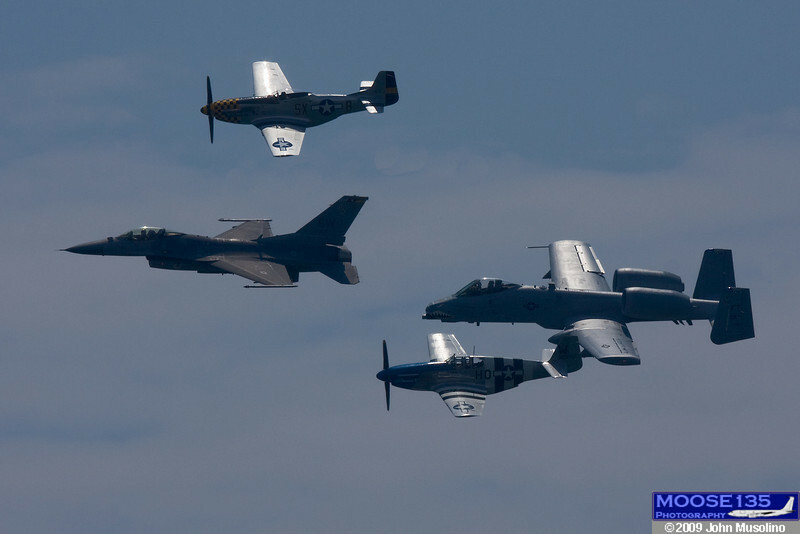 Shortly after the conclusion of their demo, two of the P-51’s joined up with the F-16 and A-10 for the Heritage Flight to honor the past and present. 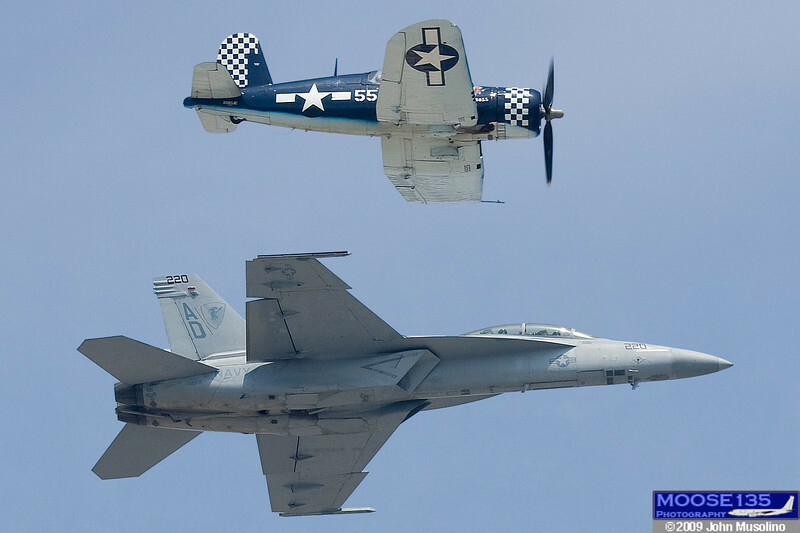 The Navy brought their top of the line fighter in the form of the F-18F Super Hornet demo-team from NAS Oceana. 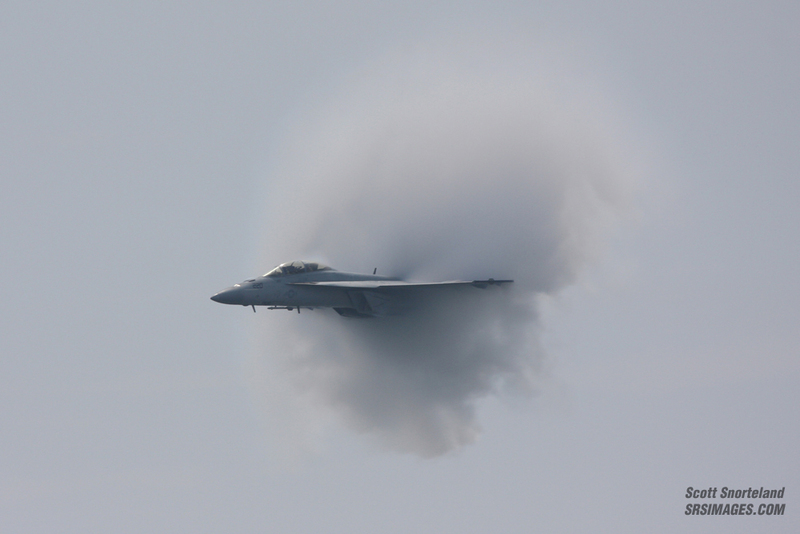 The Super Hornet is always a perfect combination with water and high humidity, as the team managed to pull quit a bit of vapor while putting the plane through its paces. 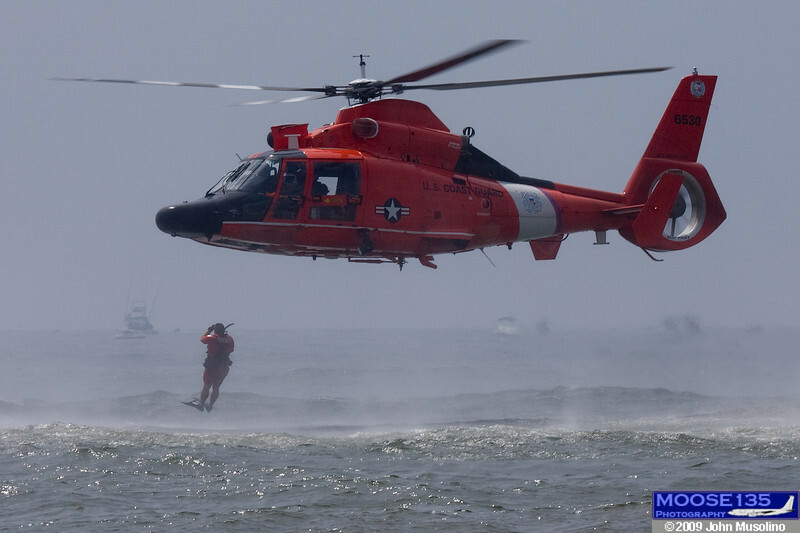 By the end of the show, all branches of the service were represented including demonstrations from the US Army Golden Knights, the Marines CH-46 as well as the Atlantic City Coast Guard performing their search and rescue demo in their HH-65’s. 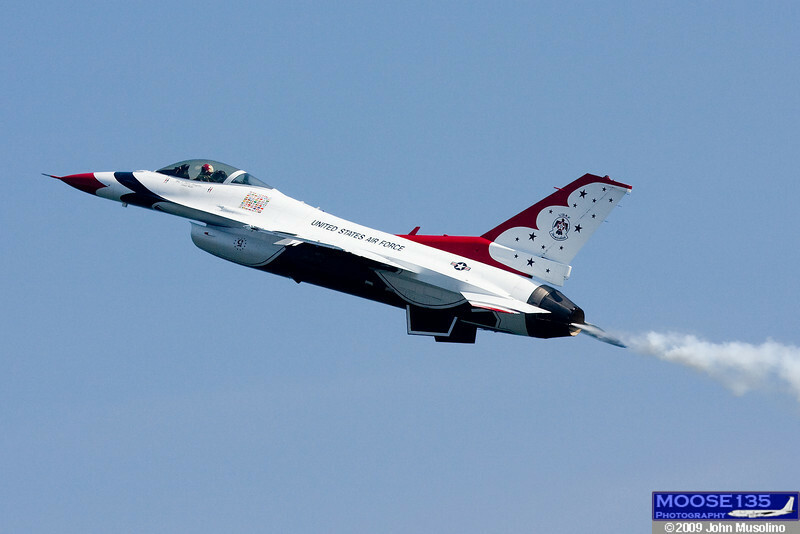 The Air National Guard was also involved with New Jerseys own177th Fighter Wing opening the show for the seventh year in a row with a four ship F-16 flyby. 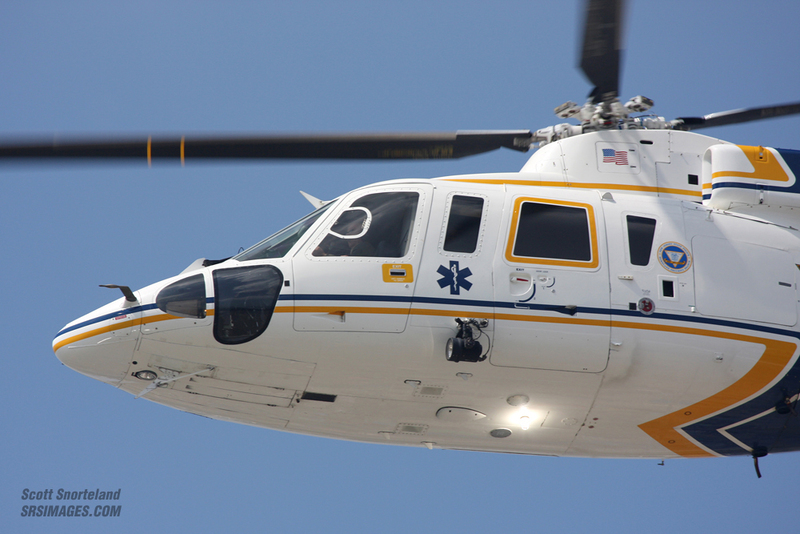 Later in the afternoon New York’s 106th Rescue Wing used a Pave Hawk, HC-130P and about ten para-rescue jumpers to show spectators what they do everyday. 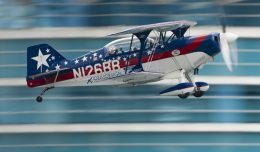 Civilian performers were once again among the best and included Rob Holland, The Red Eagles, Tim Weber, and the177th’s own Josh Wilson in the Yak-50. 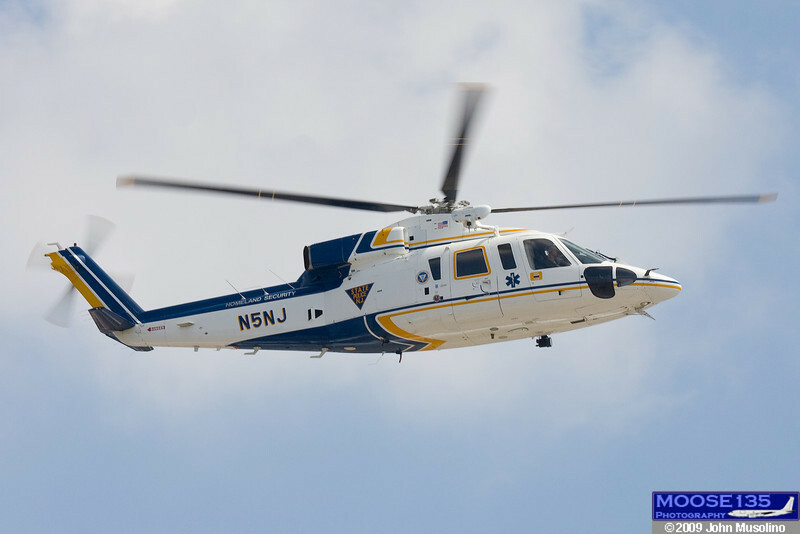 Other performances included an FAA Global 5000 and a New Jersey State Police S-76 along with two Bell 206’s. Though the show is by far not photo friendly, facing the sun and humidity while at the beach is still better than any good day at work. 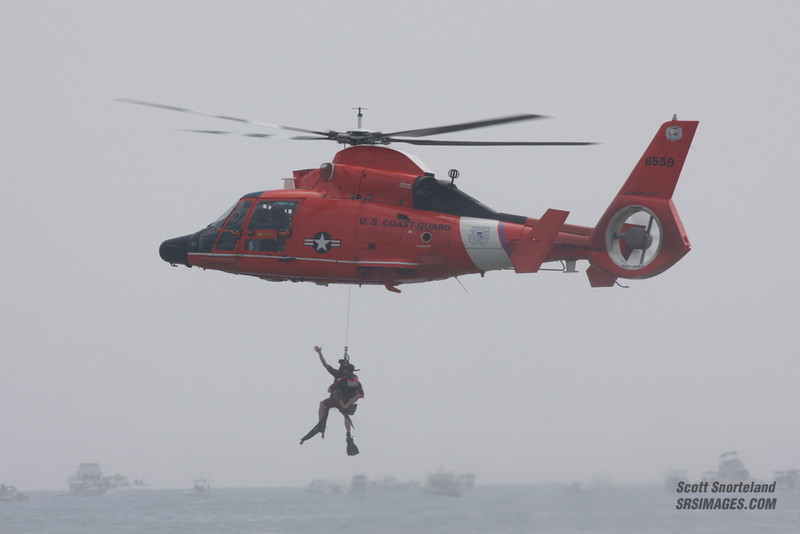 Throw in about 20 different military aircraft, today’s top civilian performers, a cooler, and beach umbrella and you have no reason not to call out from work next year. Just make sure you remember to wear sunscreen, although having to explain your tan the following day at work may very well be worth it. Click on the below thumbnails to view the photography of Scott Snorteland and John Musolino.